Those poles are always in the exact wrong place. Photo by Steve Hymon/Metro. Gold Line at night, LAUS. Photo by Steve Hymon/Metro. 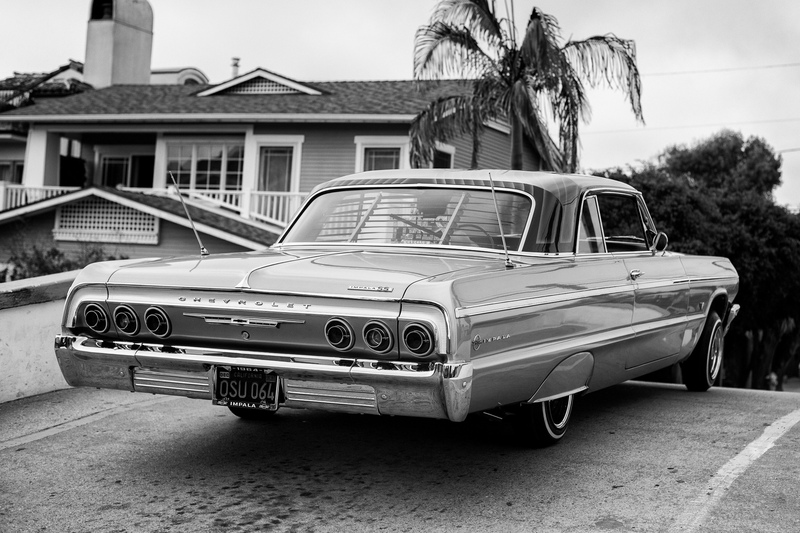 Old car, Venice Canals. Photo by Steve Hymon. Things to look at whilst transiting: fun photo essay at the New Yorker Photo Booth blog on cars from the 1970s as seen at night. Boy, those were ugly cars back then. In closed session earlier this month, the Metro Board of Directors agreed to a $297.8-million settlement with Kiewet, the contractor that built the 405 Sepulveda Pass Improvements Project. Among the primary improvements: adding 10 miles of HOV lane to the northbound side of the freeway along with a completely rebuilt 405-Wilshire interchange, a new Mulholland Drive bridge and the widening of the Sunset Boulevard bridge. The dispute between Kiewet and Metro dates to 2014 when Kiewet filed a claim seeking more than $500 million more than it was originally paid by Metro for the project. The two parties entered arbitration and this settlement was the result. The settlement will be paid with funds from Prop C, the half-cent sales tax approved by L.A. County voters in 1990 and will bring the cost of the project to $1.6 billion. Much of the dispute involved utility relocations, with Kiewet alleging that Metro did not do enough before construction to identify utilities that could be impacted. Metro Board Chair John Fasana told the LAT there were “deficiencies” and “culpability” by Metro and that it was time to move forward. Metro communications chief Pauletta Tonilas said the settlement was the best way to protect taxpayer dollars. A good overview of the contract the Board will consider Thursday. The current policing contract is with the Los Angeles Sheriff’s Department; the new contract would split the work between the LASD, the LAPD and the Long Beach Police Department. Metro staff say that it would result in more police on more buses and trains. As Joe Linton points out, there is also a motion by Board Member Mark Ridley-Thomas to decriminalize youth fare evasion. Joe writes that such efforts have been successful in other cities and have also been put in place in part to help speed up buses and trains by focusing on customers who want to pay rather than argue with those who don’t. Here’s our previous post about the policing contract that includes the staff report. Chao was the Labor Secretary under President George W. Bush from 2001 to 2009 and was a deputy transportation secretary under President George H.W. Bush. She is married to Senate Majority Leader Mitch McConnell (R-Kentucky) and her father is the founder of the Foremost Group, a major international cargo shipping firm. This is obviously an important post if, indeed, Congress pushes forward with new major infrastructure funding. To be seen, of course, is how/if that money is divided between transpo sectors and how transit may fare. 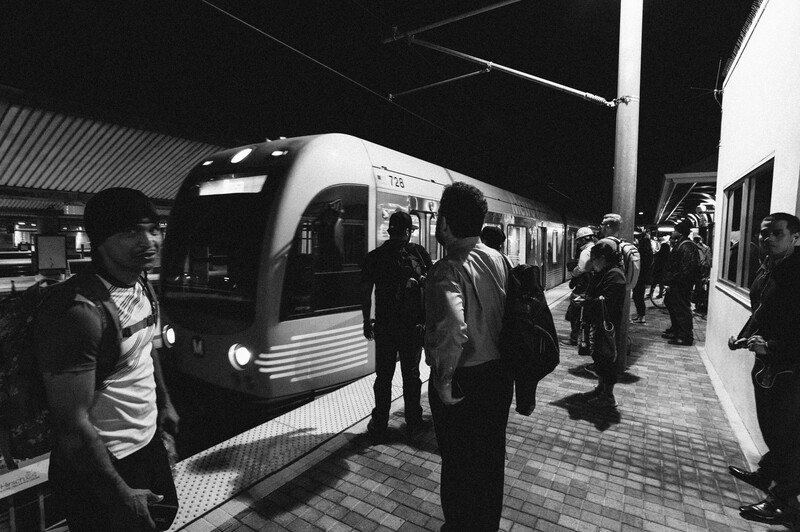 Many local transit agencies, Metro included, have new voter-approved local funding that the agencies hope to match with federal funds to build new projects. Stay tuned. “Deficiencies” and “culpability” —but let’s not get into any details or specifics lest we begine to consider how these words may apply to current and future Metro projects. Lessons learned indeed. The MTA started out with policing being done by the LASD and they even created a special division just for metro security, then MTA decided to have LAPD do the policing, and now the MTA wants to further divide the security up by having LASD do some of the policing, LASD do some of the policing, and LBPD do some of the policing. This doesn’t make sense, having 3 agencies split the security. If the MTA wants to get smart, they would let the LASD do all the policing for the rail lines, and LAPD & LBPD do the policing for the buses. That way there wouldn’t be any confusion as to who’s juristiction any incident would fall within. 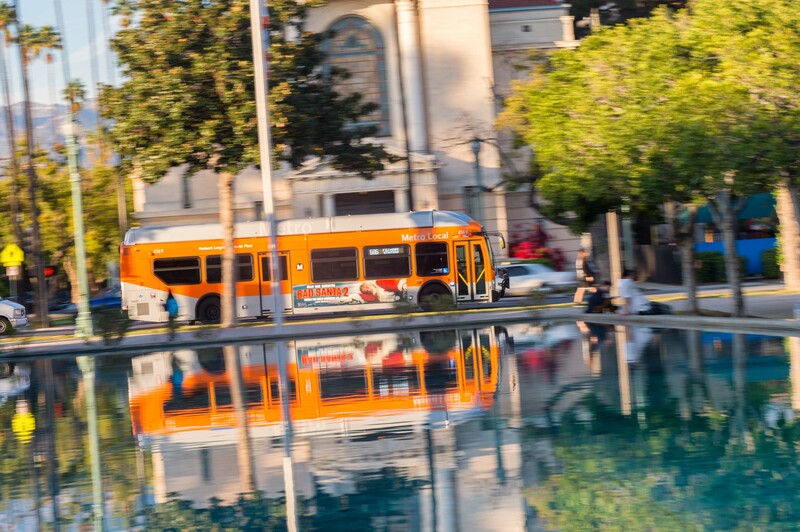 LASD could still patrol the buses in all the unincorprated areas. This would be a much better plan. Besides LAPD really has enough to handle without having to patrol for METRO. They really didn’t want any of the previous contracts and they really didn’t do a very good job wsith patrolling for METRO before and that was one of the reasions that METRO went back to using the LASD. Who at Metro is being fired, disciplined, or demoted for this unacceptable mistake that is costing over 300 MILLION dollars that should have been used for transit improvement? Please demonstrate to the tax paying public that their funds are and will be properly spent. In relation to that Gold Line picture above, which does not represent what I’m seeing at rush hour because it’s been way busier than that recently. Mornings in the 7-8 am hour are particularly busy. I have still never seen a 3 car gold line train in AM or PM rush, and I ride every weekday. For the record I’m fine with standing room only as the new normal (although the car layout clearly isn’t designed for that) but when I cant get on (midway down the libe) because it’s already full, or it is so full it feels unsafe, then I wonder about these extra cars. I haven’t seen any updates on the roll out of more cars to the Gold Line since a blog update on 10/19 that was mostly about expo line coverage http://thesource.metro.net/2016/10/19/expo-line-6-min-service/ (As an aside, that seems to have fixed the crowding issues affected that line in evening rush, so credit where it is due) Can you provide some update on the gold line car expansion please, either in response here or in a blog this week maybe? Metro best be careful. The days of no one looking and tracking what they are doing are over. You have two areas of accountability that look poor right now, policing, and being sure contracts are met properly. We just put a lot of trust into the organization, and 300 million dollars is a lot of money for an “oops”. When you have none professionals designing and contracting out transit related projects you get huge mistakes. I know from experience as a former MTA employee how bus terminals ( layovers at the end of the line) have been designed improperly. We had a terminal in Hollywood that accommodated every line terminating there, six lines. The new terminal has only four spaces, and can not accommodate the 45 foot buses (they can’t navigate around the pillars). And with six lines, more than one bus from a line may be scheduled at the terminal at the same time. At another location there were supposed to be five spaces for MTA buses. but it was found on the first day of operation BBB could not navigate around the bus in the furthest space. Additionally, the old terminal was completely covered so as to protect passengers from the elements. The new terminal leaves them standing in the rain or hot sun. And those at the MTA claimed it was more passenger friendly although they also had to walk further to transfer buses. The 405 Freeway project was a complete screw up from start to finish. And much of the money spent was to pay for demolition of upgrades that had only been completed a year previous. The MTA should get out of Freeway construction and leave it up to Cal-Trans to fund and design. Good insight. I could not agree more about MTA vs CalTrans with the freeways. That $1.6 billion spent on the Sepulveda Pass Improvements would had been better spent on the tunnel from the SFV to West LA. You got that right! What a waste of money! The widening of the 405 through the Sepelveda pass took way to long, was way over budget, and just induced more people to drive. A tunnel, through the Sepelveda pass would have been a MUCH better use of OUR money!